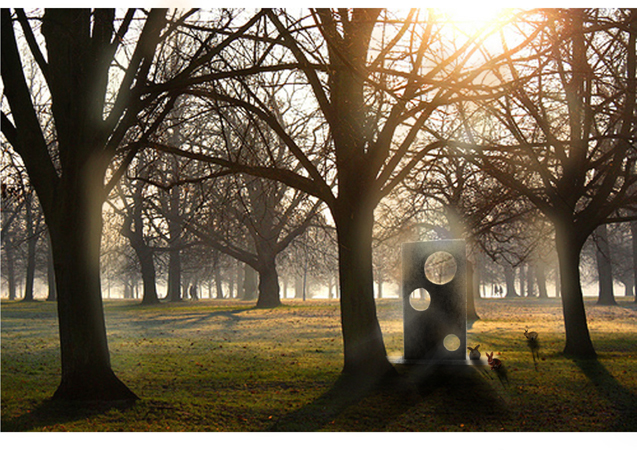 Watering Holes drinking fountain is part of an environmentally sustainable strategy of drinking fountain renewal in the Royal Parks as an effort to reduce the amount of plastic water bottles discarded in the Parks every day. The aim was to design the ‘ultimate drinking fountain’. 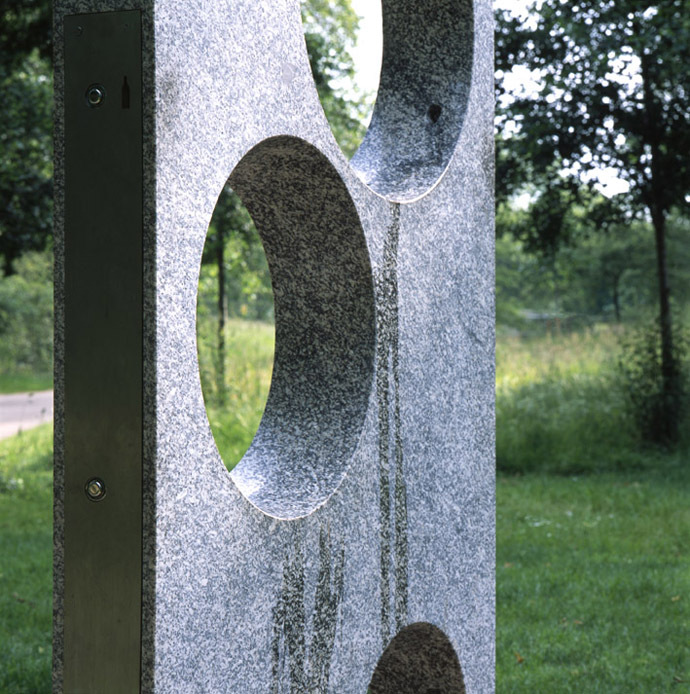 The sculptural drinking fountain is perforated with three circular holes. 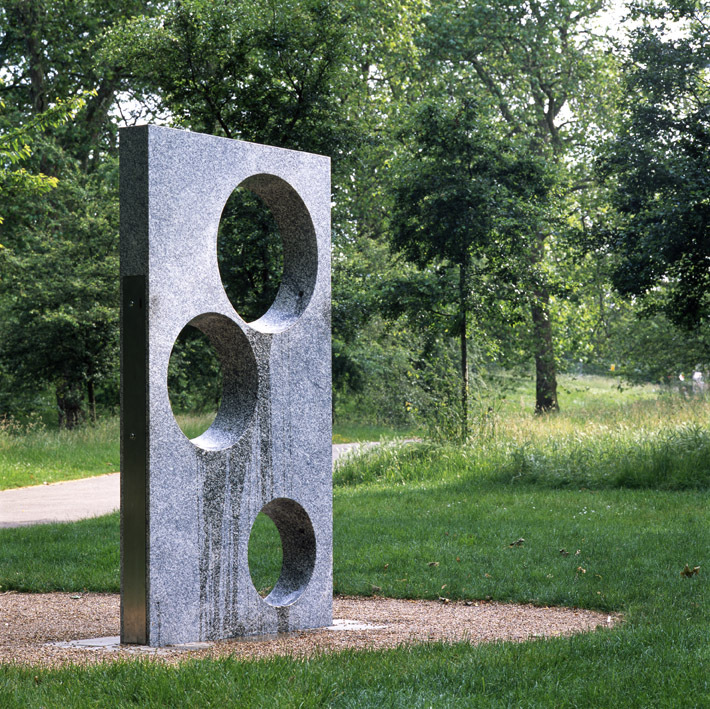 The three holes relate to the drinking heights of adults (the higher one), children, wheelchair users and bottle re-fill (the middle one), and pets (the lowest hole). 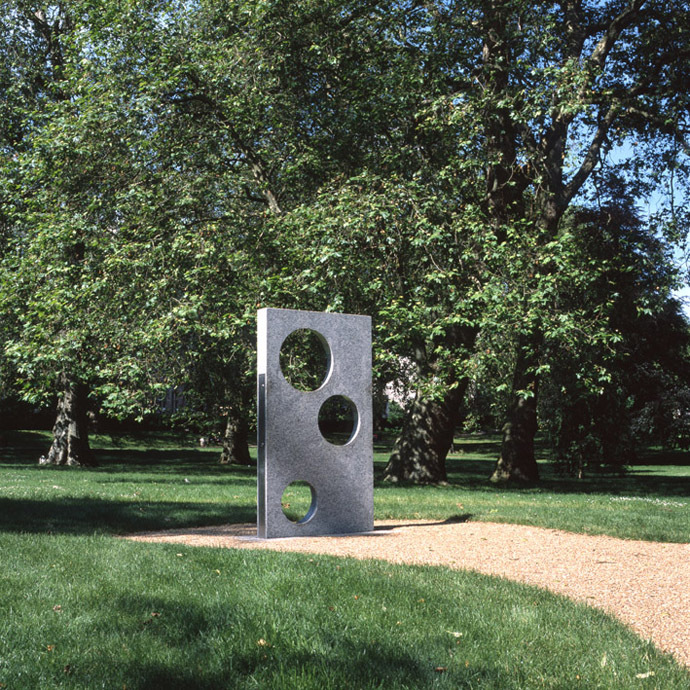 In each circular hole is a water jet that is controlled by a push button on the side of the granite slab. 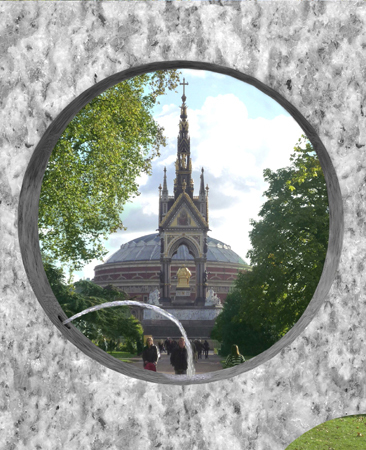 The positioning of the fountains within the Royal Parks is considered with reference to the views that will be framed by the circular holes. 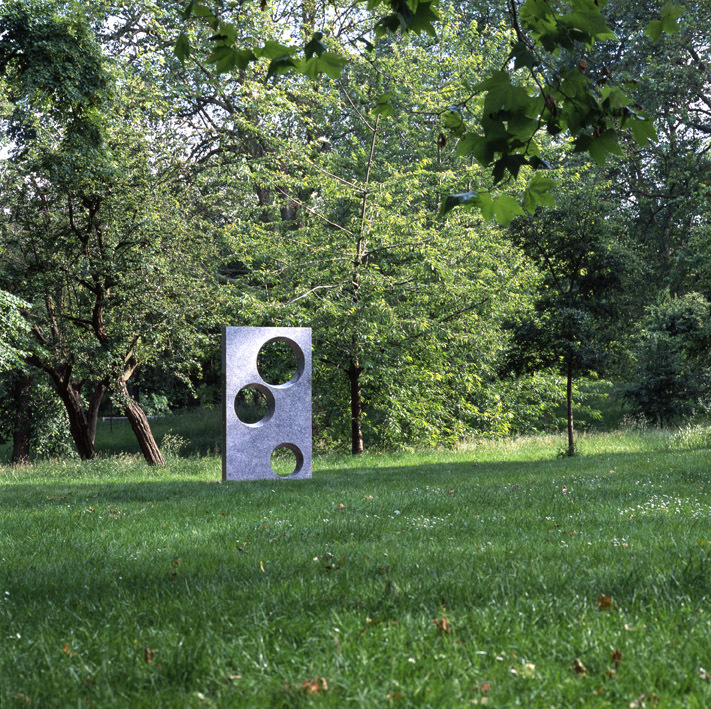 The simplicity of the rectangle and the circles are designed to give the fountain an easily recognizable identity as a sculptural element within the park. Robin Monotti Architects: Robin Monotti Graziadei & Fannar Haraldsson. Model by Thomas Goodey.